THE AFTERMATH of the Brexit referendum has been linked to a rise in antidepressant prescribing in England, a new study has found. The UK voted to leave the EU on 23 June 2016, with 51.9% of people voting to leave. While this finding is open to interpretation, the researchers suggest this trend may have been prompted by the increased uncertainty experienced by some sectors of the population, in the wake of the vote. Evidence has suggested that major societal events can affect a nation’s mental health, and the researchers wanted to find out if the vote for Brexit might have had a similar impact. In order to do this, the researchers compared official monthly prescribing data for antidepressants for all 326 voting areas in England with other classes of drugs for conditions less likely to be immediately affected by changes in mood. These included drugs to treat anaemia, gout, insulins, thyroid problems, drugs to lower blood glucose and blood fats, and muscle relaxants. Prescribing patterns were examined specifically for the month of July every year between 2011 and 2016 to capture the immediate aftermath of the referendum results. To ensure they could compare the different types of drugs, they calculated a “defined daily dose”, or DDD for short. The 326 voting areas were home to an average of 36.6 general practices (GPs), with an average population of 164,534 people in each area. The number of DDDs prescribed was then divided by each voting area’s population to estimate average prescribing levels per person. This data was then combined with the referendum result for each area. The data showed that before the referendum, DDDs for antidepressants rose during the month of July year on year, as did prescribing for insulins and gout, anaemia, and blood fat and glucose drugs. In the month after the referendum, DDDs for antidepressants continued to rise, albeit at a slower pace, but those for other drugs fell, having experienced a period of growth. The only exception was prescriptions for muscle relaxants, which had already been in decline. After the referendum, the volume of antidepressants prescribed increased by 13.4% relative to the other classes of drugs studied. The researchers did note that this was an observational study, and as such, they can’t establish a cause. Antidepressants aren’t prescribed to everyone, so the results can’t be taken to mean that the mood worsened across the whole of England, nor can they rule out that mood actually improved for some people, the researchers emphasised. 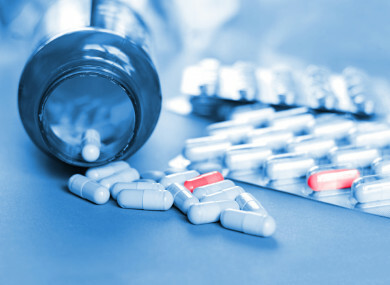 “Overall, while our findings point towards a relative increase in antidepressants prescribing as measured by DDDs per capita, results should be interpreted with caution, and further research is needed to examine whether there is any short-term relationship between the referendum result and mental health,” they wrote. Our study focused on an event that was unexpected, leading to an immediate shock. From a more general perspective, this paper shows that shocks nationally can affect health, and that uncertainty about, and expectations of, future effects can have an impact on health in the short-term. The researchers suggested that policies supporting mental health should be intensified in periods of uncertainty. Policy makers may underestimate the potential costs of Brexit if they focus purely on the impact on the economy or immigration, and ignore any changes in psychological wellbeing that may ultimately affect economic performance and social cohesion, they added. The study has been published in the BMJ. Email “Antidepressant prescriptions increased after Brexit vote ”. Feedback on “Antidepressant prescriptions increased after Brexit vote ”.